WWE Survivor Series is the only night of the year where WWE's two brands, RAW and SmackDown Live, indulge in head-to-head competition. This year's Survivor Series will witness RAW's Intercontinental Champion, Seth Rollins, square off against SD Live's United States Champion, Shinsuke Nakamura, in a dream match. 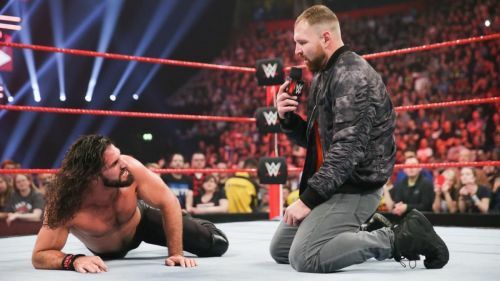 The two competitors as acknowledged by Rollins on the last episode of RAW have never battled anywhere in the world, and this will be their first encounter in the ring. While this dream match is sure to deliver, there looms the danger of The Lunatic Fringe interfering in the match and ruining the experience. 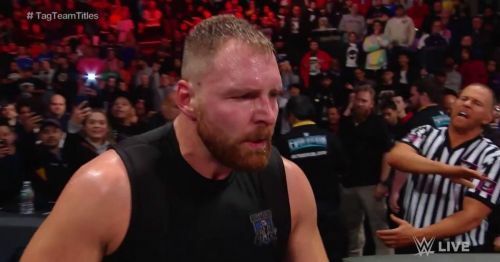 Ambrose is currently involved in a heated rivalry with his former Shield brother, Seth Rollins. Here are 2 reasons why Dean Ambrose should interfere in the "Champion vs Champion" match, and 2 reasons why he should not. Dean Ambrose teased a heel turn ever since he made his return from injury, donning a new look. But he continued playing a face character, and even reunited with his brothers Roman Reigns and Seth Rollins to form The Shield. After Roman Reigns' emotional farewell, Dean and Seth won the RAW tag team titles the same night, but The Lunatic did the unthinkable by betraying Rollins moments after winning the gold, and drew an immense amount of heat from the WWE Universe. He is one of the few WWE Superstars who is not active on social media, and possesses the ability to receive deafening boos from the crowd with his heel work. An interference in the match would lead to Rollins losing the match, and this would further add fuel to the re-ignited rivalry.